Please select Consumer if you are an individual checking your personal FBI report. All other users should select Business. Change login type to consumer. Business accounts are assigned by National Background Information. For more information, please contact us. Change login type to business. 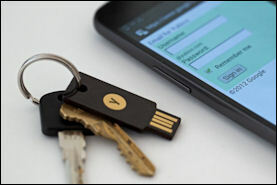 If you received an Online Access Form via email, or were given one at a Preferred Live Scan Location, please create an account to view your personal FBI report online. .
A YubiKey is a security device used for two factor authentication. You should leave this field blank if you were not assigned a YubiKey by National Background Information.